Ready for a protein-packed meal that's ready in minutes? I bet you already have some of the ingredients for this rice bowl in your kitchen! This vegetarian power meal is filled with satiating fiber, too. I'm lucky that I have the luxury of working from home. But whereas I used to run out during lunchtime to grab a salad when I worked in an office, I now cook my lunches in my own kitchen. So that means I need fueling recipes that will be ready in minutes. 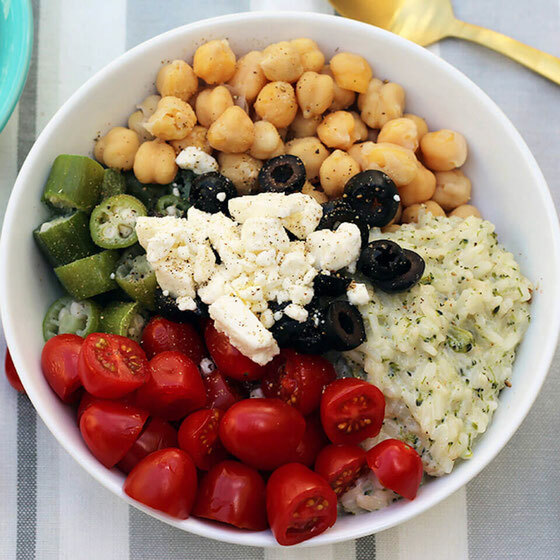 This vegetarian power bowl meal is just that. Each serving is packed with 13 grams of filling protein and 7 grams of satiating fiber, as well as a cup of veggies! When I made this recipe, I had a cheesy rice mix in my pantry—but you can use any type of rice. Go for brown rice, wild rice, or even pink rice! In fact, you can use this recipe as a base and mix up any of the ingredients. Try pinto beans or white beans instead of chickpeas, and swap the okra for broccoli or green beans. If you don't work from home like I do, you can whip up a batch of these bowls in advance to use for lunches and dinners throughout the week! Ready to make this rice bowl? I can't wait to hear what you think. *Recipe analyzed with white rice. 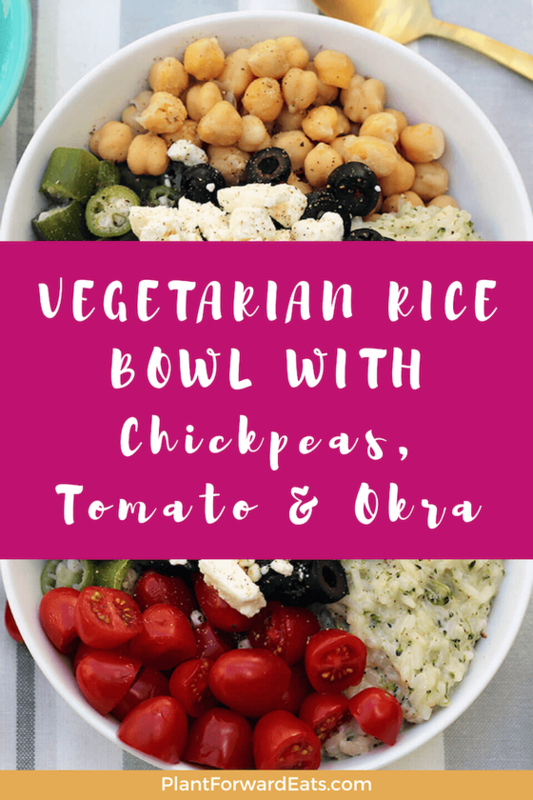 Divide rice, okra, chickpeas, tomatoes, and black olives among four bowls. 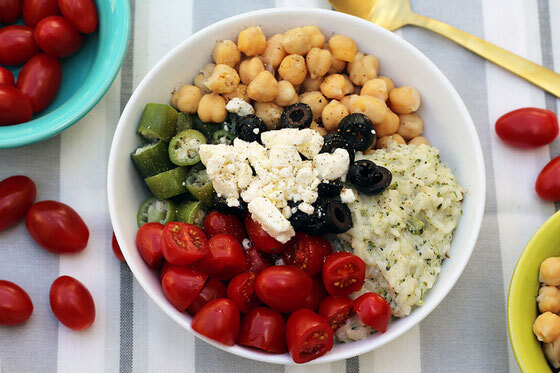 Top each bowl with feta cheese, and drizzle with olive oil. Season with black pepper. Makes 4 servings. What are your thoughts on this topic? What are your favorite ingredients to pair with rice?